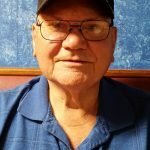 Daniel Lee Kennedy, Sr., of Granbury, passed away on Friday, November 23, 2018. A memorial service will be held in July. Daniel was born in Seguin, TX on September 15th, 1940 to Stephen James Kennedy and Helen Kopplin. “Dynamite” had an early penchant for getting into trouble. Feeling the need to serve his country, Daniel served five years in the U.S. Navy. Finding out that he could walk farther than he could swim, Daniel joined the U.S. Army. Retiring after twenty-one years from the U.S. Army, he proudly accomplished two tours in Vietnam, and survived working at the Pentagon. He married the love of his life, Eloise Davidson, and they raised a family spanning generations. Daniel is preceded in death by Eloise Kennedy, Burma Dean Kennedy, and Miss Molly. Daniel is survived by his sisters: Kaye Lewis and Joann Doyle, brothers: Hilroy Kennedy and Stephen Kennedy, children: Dee Smith and husband Donnie, Dawn Swann, Dan Kennedy and wife Petra, and Joseph Burton Jr. He is also survived by his grandchildren: Cassie Hanson, Bobbie McGowan, Amber Morrison, Cody Swann, Jackie Carmack, Mariya Swann, Leandra McKinney, Emily Kennedy, Kimberly Kennedy, Kanoa Burton, and Cheyenne Pomeroy, ten great-grandchildren, and numerous nieces and nephews. While sometimes being an unwavering force, Daniel was always a rock foundation for his family. Be the first to share a memory of Daniel.